Outrageous real estate marketing ideas are calculated risks that have paid off, garnering interest, sales and word-of-mouth without spending a fortune. While many agents struggle to differentiate themselves in fiercely competitive market spaces, some Realtors dabble in the absurd and found that it actually worked to bolster their business. While you might not be ready to take the plunge into the outrageous just yet, there are other real estate marketing tips that work, Feel free to check out our complete list of 47 Real Estate Marketing Ideas the Pros Use. Clever, bipartisan billboards posted by Jeff Cook were clever enough to garner free press on Fox News, The Huffington Post, The Hill, and dozens of other sites that would have otherwise cost a fortune to advertise on. By summing up the frustrations of many people and using this to his advantage, his unique approach gave him press coverage, which came with links to stories from high authority websites. The mentions and links he got from websites with high authority mean his website now comes up much higher in Google search results. This inevitably leads to more calls, more emails and more closed deals. By having high authority websites link to your website, this is a search engine optimization (SEO) technique professionals call link building. If you want to learn more clever ways to build links to your site to rank higher in search results, check out our in-depth article on link building here. Megan Hill Mitchum took the gutsy approach of creating a YouTube video in which she parodied Adele, and it brought exposure and a lot of humor. With more than 310,000 views, original lyrics reworked to include home sales and an amazing voice, she knocked it out of the park. The first line: “Hello, it’s me….the average buyer sees 12 homes, but we’ve seen 63 …” is a pretty wonderful lead-in, and the imagery of celebrating with clients popping champagne is masterful. Mitchum doesn’t only have a great sense of humor, but she also knows how to sell homes as she is among the top 5 percent of sellers in the Des Moines Area Association of Realtors Circle of Excellence. 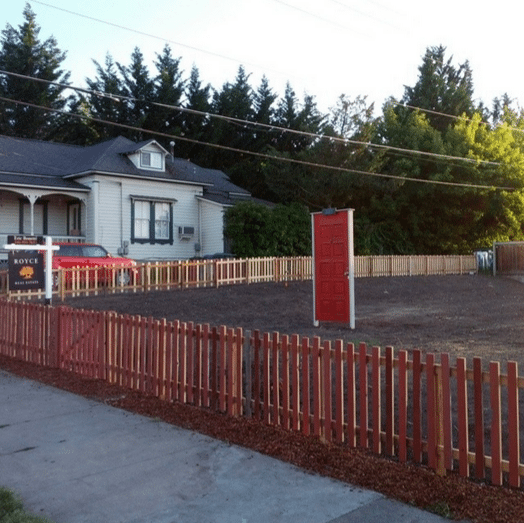 Eric Bonetti used creativity to make an empty lot humorous and appealing. When tasked with selling the empty lot, Bonetti affixed a door to the center of it and called it an “open concept” home. The image was put up on Reddit where it got some attention. While we don’t know if the lot sold due to these untraditional marketing efforts, it certainly sold very soon after it gained attention. With most real estate ads being dull and dry, Patricia Houlihan decided to make her next ad capture attention and convey a kernel of truth. The ad idea she came up with was “The X-Ray Realtor,” which was a hugely successful campaign, even getting features on CBC News and Adweek. As an attorney and real estate agent, Houlihan was able to showcase her unique value proposition while making people laugh. 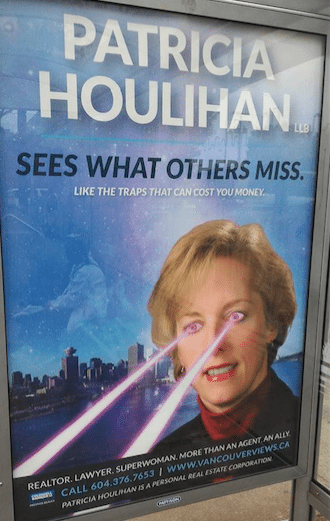 As an attorney, Houlihan actually would be able to see traps that an average Realtor may miss. Everyone wants to work with an expert that is both knowledgeable and fun. 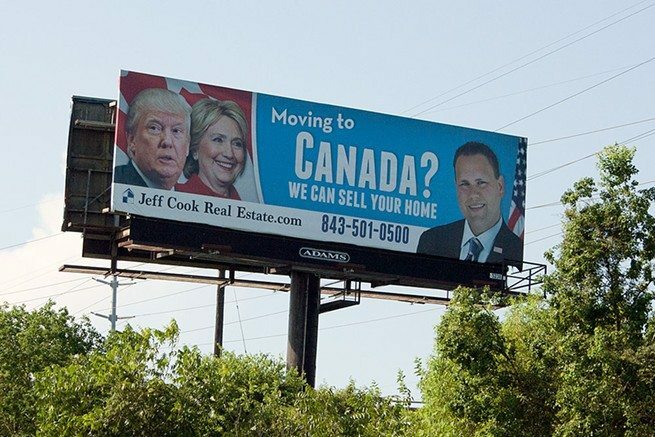 The great sense of humor combined with a solid point of professional distinction make this outdoor ad campaign a winner. Writing snappy lyrics and creating a Rick Ross-inspired video, these Realtors have captured attention for their Santa Clarita, California-based real estate agency with more than 115,000 views on YouTube. Rapping about checking the multiple listing service (MLS) at 4 a.m., giving a shout out to their Twitter account and dancing in protective shoe coverings for open houses, Cherie Brown and Zach McReynolds don’t take themselves too seriously but get the message across that they have fun but love what they do. If rap videos aren’t your thing, but you remain interested in using a more traditional variety in your advertising or social platforms, check out our article on four real estate videos every real estate agent needs to master. Kenny Truong took an old medium and made it something extraordinary. 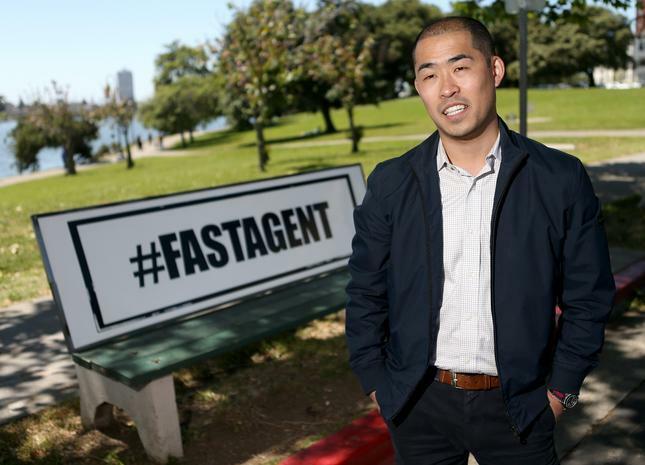 While typical bench advertisements are headshots, taglines and phone numbers, Truong created ads with only his hashtag — #FASTAGENT. Nothing else was left in the ad to indicate who they were for or what they were advertising. The ads built up enough curiosity among Oakland residents that thousands of people checked Twitter to see who or what #FASTAGENT was. When they searched, they would come up with his Twitter feed. Truong reported that his viral marketing stunt led to a flood of new leads and closed deals. The ad had done so well he was named an Inman News most innovative agent/broker. See the ultimate guide to real estate branding, to develop your own campaign that sets your business apart from the crowd. 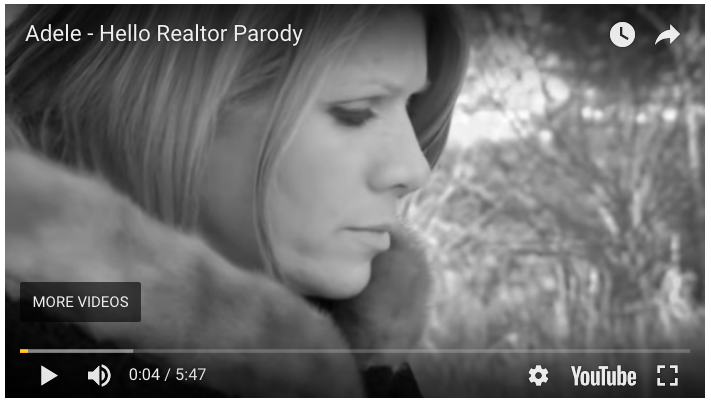 Taking a lyric that works for real estate advertising and having a lot of fun lip syncing is a strategy that worked for North Carolina-based realtors Jessica Edwards & Associates. This funny real estate video gathered more than 47,000 views on YouTube while they danced and had a blast attempting to get potential clients to call them. In an industry where stress is a mainstay, having a Realtor who knows how to keep his or her chin up and unwind certainly is good for business. 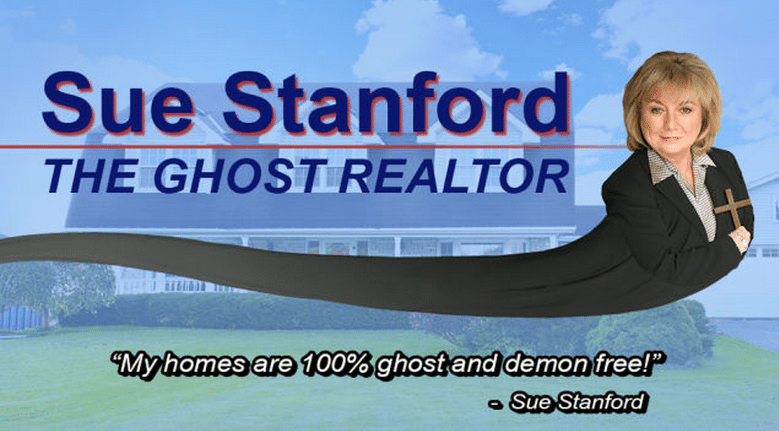 This California Realtor made a business of selling homes verified by a medium to be ghost-free after given the suggestion by business advisor Nathan Fielder. Although Sue Stanford wasn’t aware of it, Fielder was a spoof comedian filming an episode of his Comedy Central TV show “Nathan for You.” She liked the idea anyway, and she gained a lot of positive press coverage, new clients and the possibility of a television show. 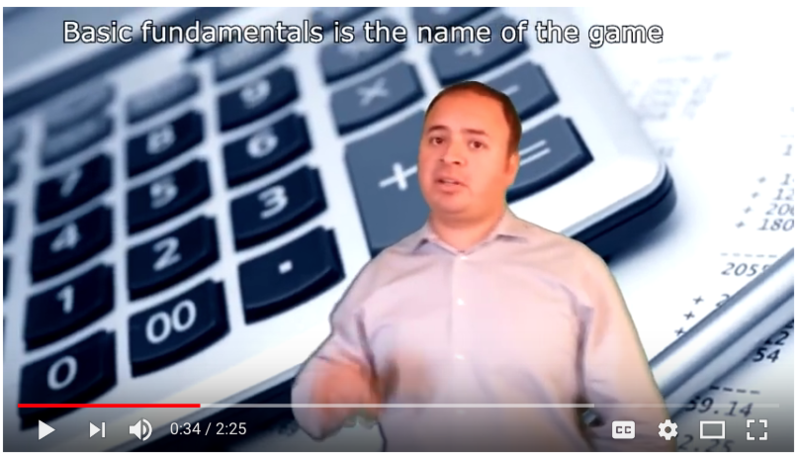 Funny real estate videos are not common to come across, but Rafael Perez put himself out there to create an intentionally lame rap video and it worked. When told his real estate videos were too serious, San Diego-based Realtor Perez decided to change his style to stand out from the crowd. He made a tongue-in-cheek, rap-style video about the San Diego market. As you can see clearly from the video, he’s no rapper, but not being a pro only made the video more humorous. The video has more than 167,000 views, and has led to Perez having a flood of press, page views and inquiries. 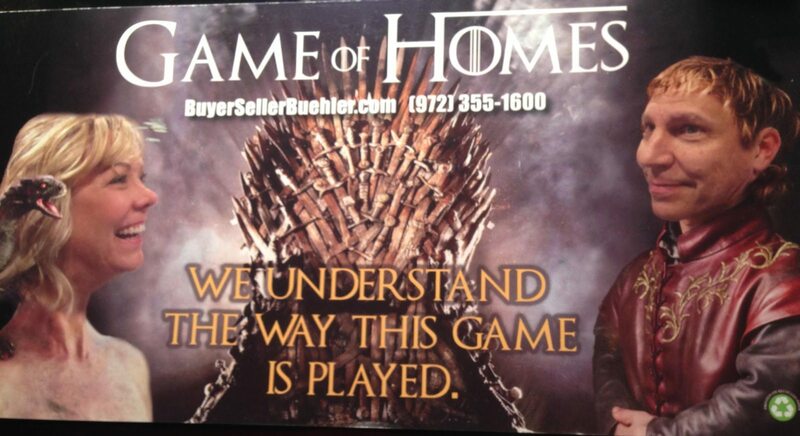 These flyers cashed in on the cultural phenomenon of “Game of Thrones.” Dressed as Daenerys Targaryen and Tyrion Lannister, they captured attention, got a good laugh and remained memorable. For those in their farm area who may be looking for real estate services and might want to talk GOT while house hunting, this team is a no-brainer. Breaking out of routine keeps you memorable. 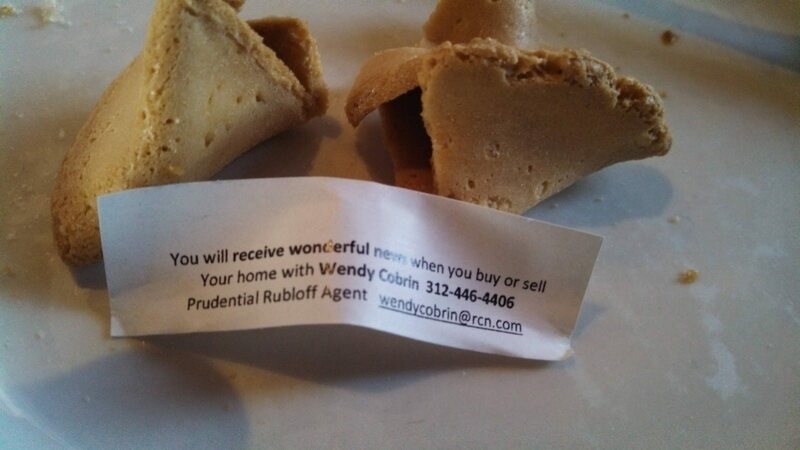 To change things up in her day-to-day marketing, Wendy Cobrin decided to add a little bit of luck to her marketing spend by ordering custom-made fortune cookies. Whether at open houses, conferences or just meeting with clients, Cobrin hands out her fortune cookies liberally. When asked, she reports solid results and that clients always seem to remember the cookies. If you’re someone looking for a unique way to distinguish yourself but not ready for fortune cookies just yet, check out the 28 real estate business cards we love. 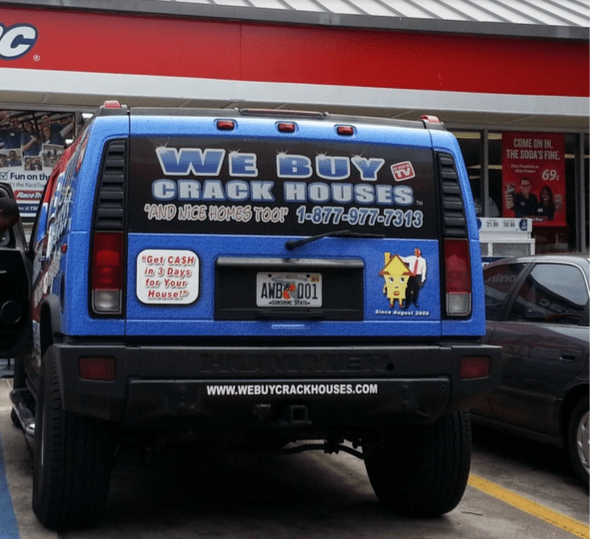 Using audacious ads to attract clients isn’t something every Realtor can pull off, but Florida-based Kenny Rushing is able to use them effectively to corner his particular niche. He not only dominates the market of rundown homes in his area but, through humor, catches the eye of upscale homeowners too. You’ll find his ads on everything that has a place he can display them, including the vehicle pictured above. Brad J. Lamb, Broker, Brad J. Lamb Realty Inc.
Brad Lamb embraces his last name to create outlandish ads that gave him an incredible reputation and even extended his reach into opportunities he likely couldn’t have imagined without them. For example, the Lamb ads took Toronto by storm and have earned him a reality TV Show, “Big City Broker,” on HGTV. People have even used Lamb’s ads in a song, “This Lamb Sells Condos” by Canadian songwriter Owen Pallett. All of this fanfare, however, hasn’t kept Lamb from success in what he does best. Brad J. Lamb Realty Inc. is ranked as Toronto’s number one condominium and loft brokerage. The tagline is corny but memorable and provides a useful kitchen tool everyone uses around the house. While Realtors are known to pass around sports calendar magnets, key chains and other goodies that carry their name, can openers is a new one that Elizabeth Corbin used to her benefit. 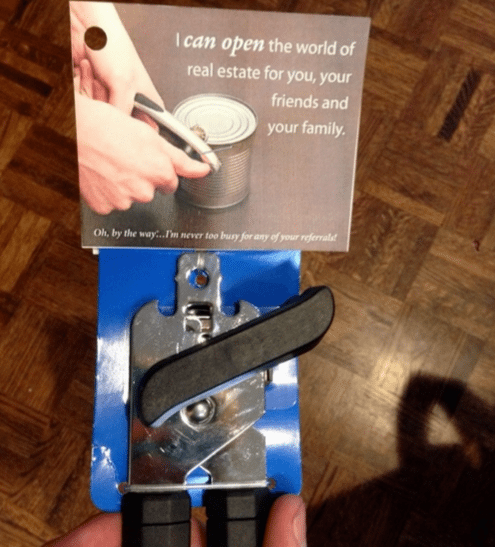 While the can opener tagline might cause a few groans, it also will probably inspire some laughs: “I can open the world of real estate for you, your friends, and your family.” A popular campaign that spread over social media, we’re betting that Corbin got some great leads from this surprising campaign. Ads that play on cultural phenomenon are instantly recognized by everyone. Jim Shavalian takes a fun, memorable twist on James Bond to leave an impression that gets people talking. He is effective, knowledgeable and everything you might want in an agent. 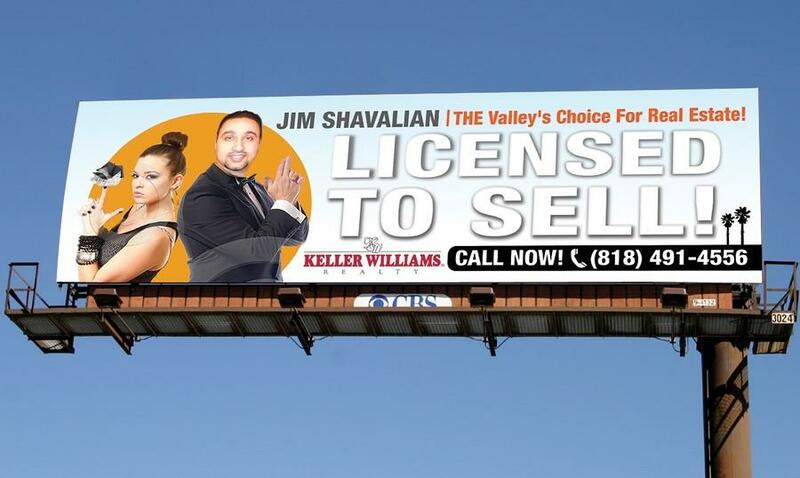 These ads might be out of the box, but they get attention, and hopefully gathered Shavalian some great leads. 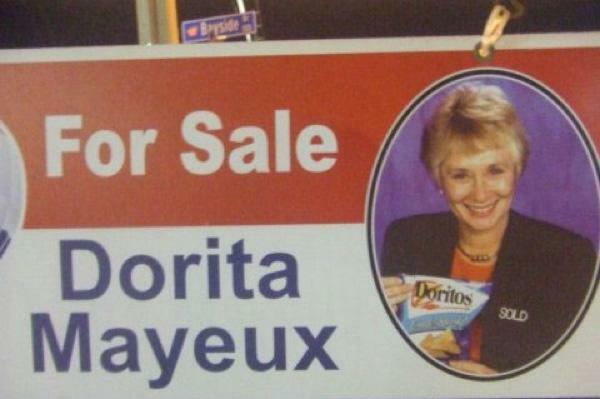 When you have an unconventional first name, Dorita Mayeux shows that there are creative ways to get potential clients to remember you. Her use of a popular brand of snacks is funny, family-friendly, and sticks with you. 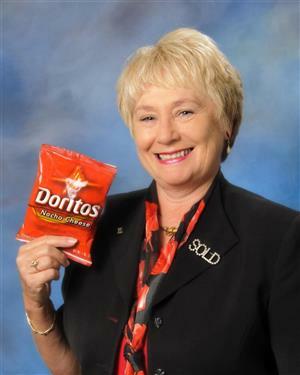 In fact, using Doritos to help others remember her first name, Dorita, worked so well that it is now part of her updated Realtor headshot. 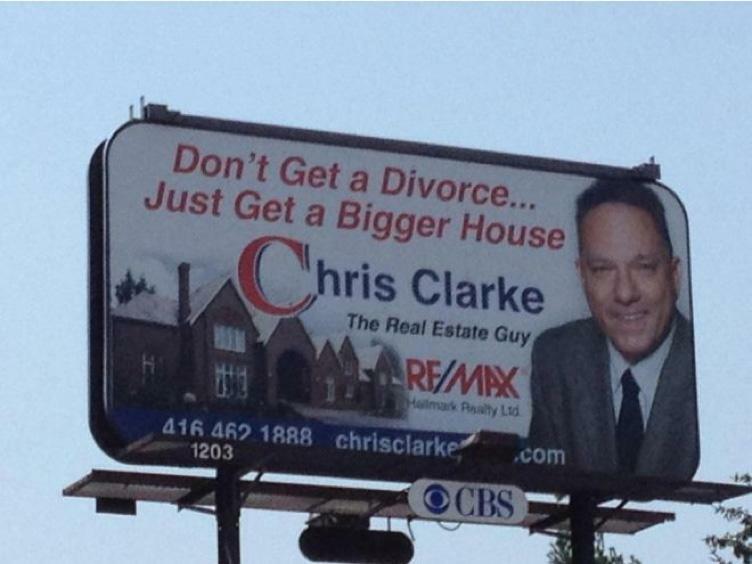 Chris Clarke does some problem solving on marital unhappiness while capitalizing on a very unique advertising angle for this outrageous real estate marketing campaign. Divorces are likely more expensive over time for many than a simple home upgrade and, while we don’t know if Clarke gained traction on this campaign, we certainly know it fueled a lot of conversations for couples on the drive home. 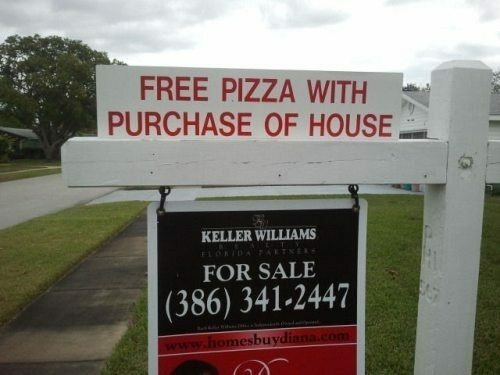 Outrageous real estate marketing is not for the faint of heart. You have to have the chops to take the risk, but take smart ones that will get people talking in your farm area. These real estate stunts get people more interested in who you are, and what you have to offer, resulting in more website traffic, media exposure and, ultimately, more leads. For real estate marketing tips that are a bit more tame in nature, check out our complete list of 52 Real Estate Marketing Ideas the Pros Use. Nice informative blog. I have a few questions. I’m not sure what you mean by a “sponsor”. Do you mean a guarantor? They are really helpful . small ideas leads to somrthing big! They can lead to something big, but not always. Risks can pay off though. Haha these are definitely great! This was hilarious. Well! all in a days work. Laugh a little and buy a home. They are awful and the reason why people think agents are idiots and like used car salesmen. Try entering the 21st century and have some professional integrity. life is laughter. Realtors have often portrayed themselves above the masses and very snooty. It’s good to see fellow Realtors embracing their humble, funny bone and having fun. Clients today want real, fun, reachable and educated Realtors to help them find their homes. They can find stuffy and rigid at work! Hi Manuel, thanks for dropping in! I think it’s safe to say, most realtors who market themselves with humor, puns and gimmicks probably (or hopefully) have a serious side to them once they’re working with a client. That said, there’s plenty more ways to market yourself that don’t require dabbling in absurdity.